UTM students capturing their moment of victory at prize giving ceremony held at Inti International University, Nilai Campus, Negeri Sembilan. JOHOR BAHRU, 24 May 2015: Kudos to Quantity Surveying Students of Quantity Surveying Department, who managed to won 2 best presenters awards at the 7th RICS-RISM International Conference for Undergraduates 2015 held on 22 and 23 May at Inti International University, Nilai Campus. The conference is a series of annual event jointly organized by Royal Institution of Surveyors (RICS) and Institution of Surveyors Malaysia (RISM) host together with participating Universities on a rotation basis. 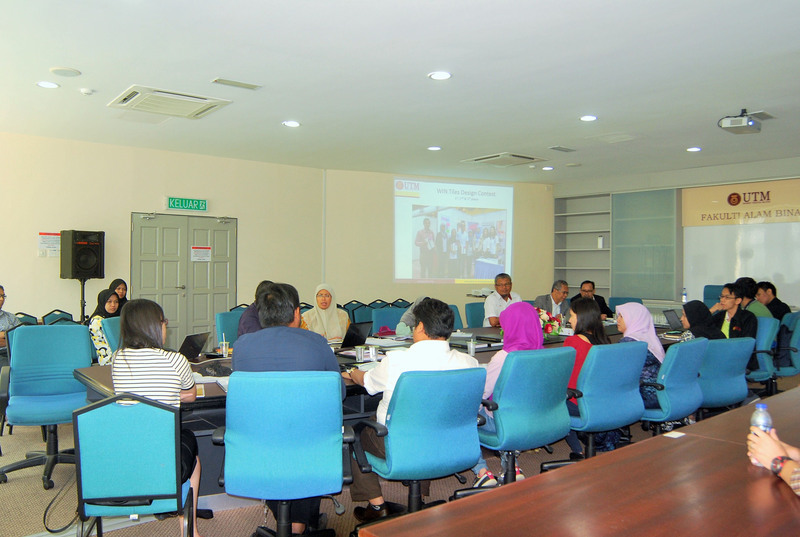 This year, the conference was graciously hosted by Inti University at Nilai Campus, Negeri Sembilan. The theme for this year’s conference is “Young Surveyors: Assets of National Growth”. 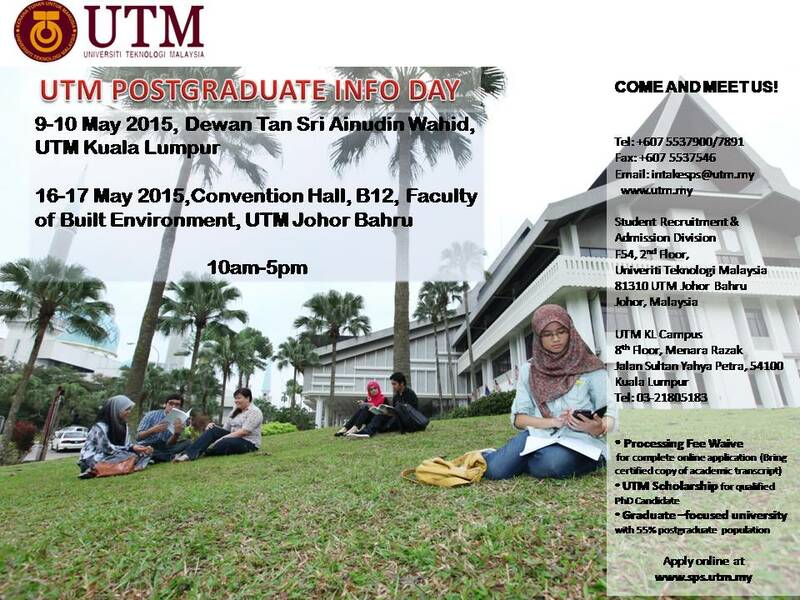 The conference provides a platform for undergraduates from the various accredited surveying courses in Malaysia as well as Asia Pacific Regional Universities to share and exchange ideas, promote understanding and networking apart from exposing the students to present their undergraduate research publicly. A 10-member-strong team from The Singapore-ETH Centre for Global Environmental Sustainability (SEC), led by SEC Director Prof. Dr. Peter Edwards, paid a courtesy visit to the Department of Urban and Regional Planning (JPBW), Faculty of Built Environment (FAB), UTM. On campus to receive the SEC delegation were FAB Deputy Dean (Academic), Assoc. Prof. Dr. Mohamad Rafee Majid and JPBW Head of Department, Assoc. Prof. Datin Dr. Norsiah Abdul Aziz. 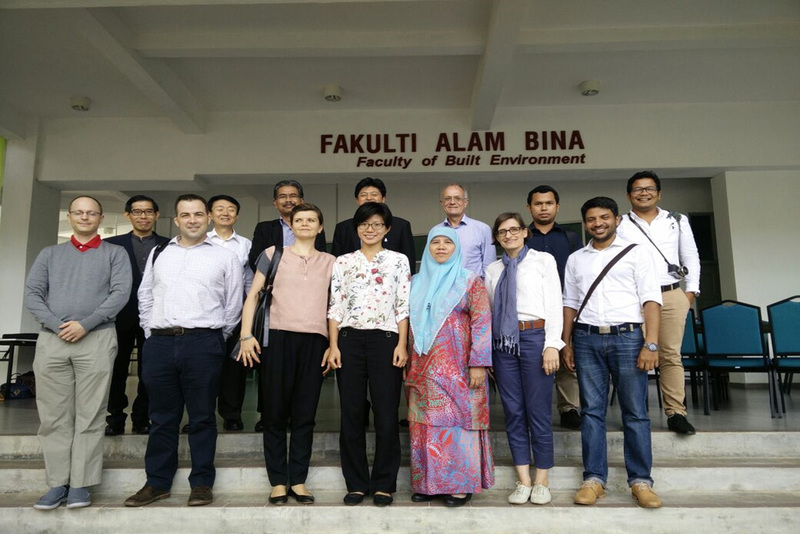 The courtesy visit was a result of a 3-year collaboration (2011-2014) between the SEC’s Future Cities Laboratory (FCL) Program’s Architecture and Territorial Planning Project, led by Assistant Prof. Dr. Milica Topalovic, and UTM’s JPBW, led by Prof. Dr. Ho Chin Siong and Mr. Chau Loon Wai. As a result of the fruitful collaboration, SEC and JPBW sought to formalise and strengthen the academic relationship between the two institutions. 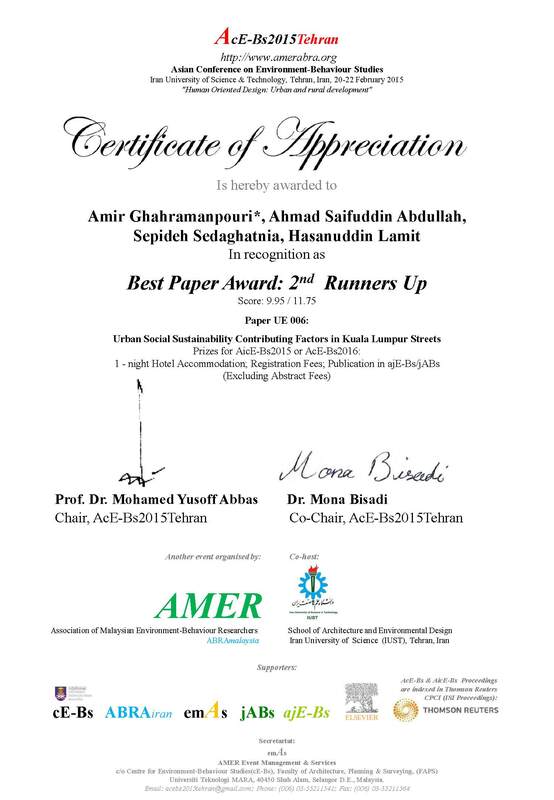 A paper from UTM Faculty of Built Environment has been awarded as a Runner Up winner at 6th Asian Conference on Environment-Behaviour Studies- “Human Oriented Design: Urban and Rural Development”. The conference was held at Iran University of Science and Technology (IUST), Tehran, Iran, from 20 to 22 February 2015. The authors of this paper also have been awarded to participate in 6th AicE-Bs conference to be held in Barcelona, Spain, in September 2015.